Are Cortisol hormones and stretch marks related? Cortisol is a steroid hormone released by the adrenal glands located on your kidneys. Your body needs cortisol to function effectively. The said steroid hormone aids in maintaining your blood pressure at a normal level, securing your immune system, and speeding up anti-inflammatory process in the body. The amount of cortisol produced by the adrenal glands is influenced by the pituitary gland located in your brain. There are certain illnesses that require the assistance of synthetic cortisol as treatment. They are called corticosteroids, and if taken for an extended period, it could lead to undesirable side effects. Disorders of the skin like dermatitis and psoriasis need synthetic cortisol to be treated, as well as diseases that involve the inflammation process, the immune system, cancer cells, and organ transplants. Synthetic cortisol has many forms. They come in creams, tablets, injectables, lotions and inhalers. They are classified into four classes, and what keeps one class different from the other is the power of potency. Therefore, it is not advisable for you decide which synthetic steroid is good for you- leave that for the doctor to decide. Once the body is accustomed to the high levels of cortisol for a time being, the precursors of making the steroid hormone can be depleted, leading to a shortage of cortisol output. Low cortisol output slows down the general workings of the entire brain and body. Increased presence of cortisol in the body leads to catabolism, which is a process that sabotages the strength of tissues in every part of the body. The catabolic process is responsible for making your ligaments, muscles, bones and blood vessels weak and fragile. Stretch marks are a product of ruptured collagen and elastic fibers in the epidermis. 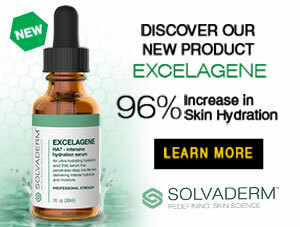 Collagen is a fibrous scleroprotein in bone and cartilage and tendon and other connective tissue. 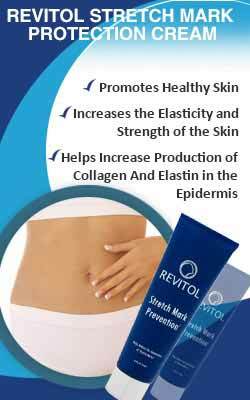 This explains why you are prone to getting stretch marks when your body experiences intense levels of cortisol. Since the proper workings of connective tissues are disrupted, your skin becomes less elastic as it used to be. High cortisol also encourages hunger, so you eat more to quench your need for food. As you consume more calories, your weight starts to build up, hence leading to expansion of the skin to accommodate the additional fats. When your skin becomes less elastic, the connective tissues underneath it are damaged, hence the appearance of stretch marks. Cortisol is a steroid hormone synthesized by the adrenal glands. Skin disorders, inflammatory conditions and several cancers use synthetic cortisol as a treatment option. 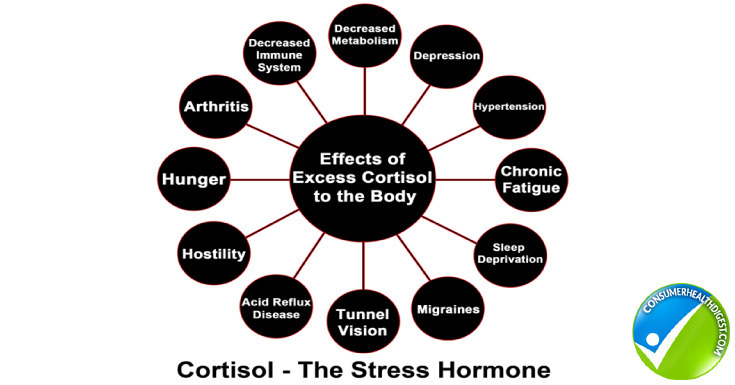 The production of cortisol contributes to the normal functioning of the body. In case that the levels are consistently high, this will lead to several undesirable effects, including stretch marks. Stress, skipping meals, slouching and improper sleeping routine encourage the body to produce more cortisol. When this happens, cortisol gives rise to catabolic process in the body, which attacks the tissues. When cortisol disrupts the connective tissues, elasticity of the skin is affected, hence the appearance of stretch marks.